The Air New Zealand Engineering and Maintenance team’s most important objective is the continuing airworthiness of our fleet so that we can maintain or improve aircraft safety and reliability. The team is also responsible for controlling maintenance costs to help with business margins. The division maintains and services the Air New Zealand fleet as well as aircraft from customer airlines around the world. With a large workforce, we are one of the few airlines certified to design and manage the major upgrades we carry out on our fleet. We also compete on a world stage, winning maintenance contracts from other countries' airlines around the world. Air New Zealand is also one of the few companies importing engineering work into the country. Our Aeronautical Support Engineers are responsible for the ‘configuration’ of our aircraft and for designing maintenance programmes that will deliver airworthiness, passenger and crew safety and optimal performance. 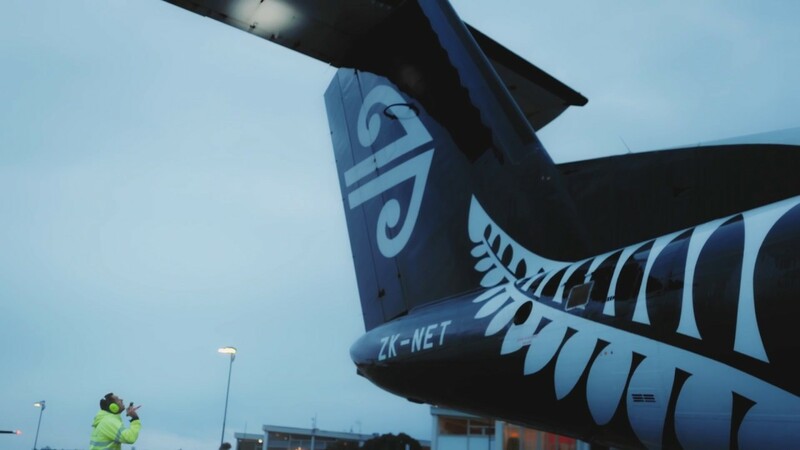 Factor in the different needs of marketing, operations, cabin and flight deck crews and one of the most rigorous regulatory environments in the world and you can see why this role is so important to Air New Zealand. Our Support Engineers are split into Fleet Engineering Teams who are responsible for looking after a specific aircraft type such as the A320, Power Plant (Engines) and an Aircraft Interiors Fleet Team. The team works closely with hangars, managing day-to-day maintenance issues and developing repair schemes to meet rigorous continuing airworthiness requirements. The Liaison Team plays a pivotal role at Air New Zealand. They provide urgent and non-repair design and modifications along with technical advice for the fleet on a 24/7 basis. Once Engineering has worked out a maintenance plan covering airframe engines and components, a team of planners work out the details, scheduling checks and producing the hundreds of job cards issued to the hangar, covering every task to ensure a seamless flow of work is carried out in the right order to dovetail with other work right across the fleet. The Quality & Safety Engineering team's role is to enable the business to be safe, efficient and effective, through management of the Safety/Quality Management System. With the arrival of new technology, the team require a generation of adaptable IT and technology savvy team members. Our Maintenance Engineers work hands-on with aircraft in the hangar at the airports or in our mechanical or avionics workshops, to carry out routine aircraft maintenance, identify and rectify aircraft or component defects, undertake modification, repair and servicing tasks. A Maintenance Engineer could specialise in various areas such as mechanical, avionics or components. This is a critical role within our business ensuring our aircraft are safe and ready to operate. We maintain our fleet in three major bases in New Zealand - Auckland (wide-body aircraft), Christchurch (narrow-body aircraft) and Nelson (turbo prop aircraft). These bases have state-of-the-art hangars, and strong, collaborative team environments. The Air New Zealand Engineering Supply Chain team supports billions of dollars worth of aircraft assets. This is a business critical team which manages the supply of aircraft parts from around the world, controlling tens of thousands lines of stock and hundreds of millions worth of inventory. Air New Zealand offer a two-year programme for Graduate Engineers looking to accelerate a career in aeronautical engineering. It’s a unique opportunity to develop the technical and leadership skills required to lead Air New Zealand’s engineering development in the future. The programme offers a planned series of placements that covers the full spectrum of engineering activities supporting a 50-strong fleet that features some of the world’s most advanced passenger jets, plus other growth opportunities. Applicants should have a four-year Bachelor’s degree in engineering, preferably majoring in mechanical, electronics, mechatronics or engineering science. Applicant's should have a tertiary qualification in procurement, logistics and supply chain management or relevant industry experience in supply chain. Applicants require a Bachelor’s degree in engineering, preferably majoring in mechanical, electronics, mechatronics or engineering science, as well as five years relevant industry experience. Applicants require a Trade Certificate or NZCE, LAME or NZIM Management Diploma or relevant industry experience, as well as five years relevant industry experience. Applicants require four years secondary school education as well as a Level 4 National Certificate or equivalent Trade Certificate. Applicants should also have completed an Apprenticeship/Traineeship in the Aircraft Industry or an apprenticeship in an allied trade or have completed an RNZAF Aircraft Technicians/Fitters course. Interested in becoming one of us? Here’s how our recruitment process works. Applications are reviewed for the skills and experience required for the position. If you’re invited to an interview you can expect 2-3 people to be involved and you’ll be asked a number of behavioural-based questions. Vetting documents to be provided (references, medical, aviation security, Ministry of Justice check and qualification checks). Once vetting is completed, you’ll be informed if you’ve been successful or unsuccessful and feedback will be provided. Air New Zealand Engineering and Maintenance offer internal secondments for fixed periods of time (subject to business requirements) which allow our people to develop their skills in other areas of the business. Air New Zealand Engineering and Maintenance offer Internal Secondments for fixed periods of time are offered through the E&M teams (subject to business requirements) and allow people to develop their skills in other areas of the business. When starting at Air New Zealand engineering you will be working on a modern fleet for a world-class Maintenance Repair Organisation that prides its self on providing the customers with their engineering requirements. With three bases - Auckland, Christchurch and Nelson, each providing different lifestyle options to suit everyone. Whether working on the ATR’s and Q300’s in Nelson or the narrow-body aircraft in Christchurch or the Line/Light maintenance in Auckland you will be working in world-class facilities with extremely passionate people. We provide a great team environment that encourages people to grow and develop their engineering skills with opportunities around New Zealand and offshore. The Engineering and Maintenance division provide a range of training and development options to suit your needs. This can include short courses, longer management courses, and continued education through a tertiary provider. Air New Zealand also provides in-house leadership training for emerging and higher-level leadership. Support for gaining NZCAA licences is also provided. Your first few weeks are largely focused on getting used to a new engineering environment and understanding our business and its requirements. You’ll meet everyone you need to know and be given a summary of the different departments, managers and how the business operates. We’ll also take care of the paperwork during your induction – issuing you with your uniform and personal protective equipment, and briefing you on our Standard Operating Procedures and IT systems. Once we’ve ticked all the boxes, you’re ready to start an exciting new chapter of your career as an Air New Zealander.